A benefice is a parish or group of parishes, normally under the care of a single stipendiary (paid) minister, although a number of other arrangements are possible. Aston St Mary is one of five making up the Beane Valley Benefice which includes Aston, Bramfield, Stapleford, Waterford and Watton-At-Stone. By clicking on the name or the photograph of each church below you will be directed, in a new window, to the relevant churchs' website. with accurate maps, contact information, service times and much more. As well as this website we also have a presence on A Church Near You. We are a small and friendly Anglican congregation meeting at 11.15 am most Sundays and at other times as detailed in the services and events section of our website. 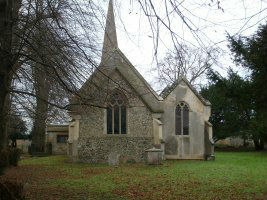 St Andrew & St Mary, Watton-At-Stone. We are a friendly Anglican congregation meeting at 9.30 am every Sunday and at other times as detailed in the Services and Events section of this website. 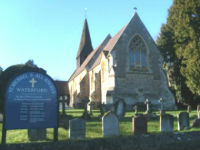 Our beautiful and historic church is set on a hillside overlooking the village of Watton, a special place to mark the important events of our lives: baptisms, thanksgivings for the birth of a child, weddings, renewal of vows and funerals as well as sharing our hopes and fears with God in worship. 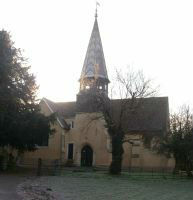 St Mary's Stapleford is a beautiful and historic church which has served the community for nearly a thousand years. The chancel and part of the nave are Norman. The tower, steeple and other parts were added in 1874. Much restoration work has been completed over the past 40 years including re-roofing and re-furbishing of the interior. All are welcome to join us in our worship at 11.15 am most Sundays and at other times as detailed in the services and events section of our website. We are a small Anglican congregation worshipping at 6.30 pm on three Sundays a month and at 11.15 am on the second Sunday as detailed in the service and events section of our website. Services take place in our beautiful church famous for its pre-Raphelite stained-glass windows from the William Morris factory and outstanding mosaics.